Don’t see your specific HR needs addressed here? The options listed are just that, options. We understand that every business has different needs and requires different levels of assistance. 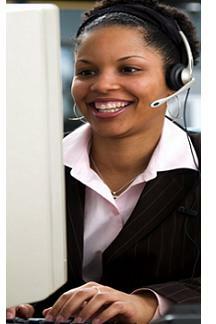 Call one of our Outsourcing Consultants today to schedule a meeting to discuss your unique situation! The Consolidated Omnibus Budget Reconciliation Act of 1985 (COBRA) is a federal law that permits continuation of group health coverage when it might otherwise be terminated. COBRA is only triggered by certain qualifying events and should only be offered to certain qualified beneficiaries. We understand the complexities of administering COBRA and its interactions with various laws such as the 2009 American Recovery and Reinvestment Act (ARRA) and the Trade Act of 2002. Our COBRA administrative consultants stay current with IRS and Department of Labor changes, as well as various state level COBRA-like laws for groups smaller than 20 employees. COBRA requires various notices to potential and current COBRA beneficiaries. Maintenance and tracking of qualifying events can prove very time consuming and confusing for an employer. We use a state of the art, automatic notification process to ensure timely notification of non-commencement, Medicare entitlement and termination of benefits. Upon engagement of our services, we will conduct a comprehensive review of your current practices, procedural manuals and overall COBRA compliance. We will provide a recommendation of steps to take to bring any areas that are delinquent into compliance. Monitoring of the 60- and 45-day election and premium payment timeframes. Process all COBRA enrollments and terminations directly with the carrier. Receive COBRA premium payments from enrollees. Maintain records of enrollments, payments and maximum election periods. Keep the client apprised of all COBRA elections and terminations through periodic reporting. In today’s world, employees are stretched thin and Human Resource personnel are no exception. Companies frequently don’t have the time, experience or resources to perform all of the necessary functions in-house. Mistakes can lead to costly and time-consuming audits, fines and lawsuits. Whether you need help with just one of the aspects of HR listed below or would prefer someone else handle all HR functions, let BAI take some of the burden off your staff with our Outsourcing services. From annual group open enrollment to new hires, BAI can manage the cumbersome process of helping employees get the coverage’s they need. We can provide the materials, explain the benefits and enroll your employees. In addition, we can manage the employee records from initial enrollment through termination. BAI can determine an employee’s eligibility as a plan participant, forward enrollment information and assist with enrollment-related questions. Once enrolled, we can manage the processing of distributions, loans, hardship withdrawals, rollovers from previous employer plans and Qualified Domestic Relations Orders (QDROs). Our invoice management service provides detailed accounting reconciliation for employers of any size. Clients find this service particularly helpful when they are managing multiple carriers. We will identify data and premium discrepancies, potentially saving the client thousands of dollars that otherwise would be paid in error to the carrier. Also, our timely and accurate invoice payment service will take one more burden off of your plate. Clients can feel confident that they have reduced their administrative overhead by transferring duties to our experienced reconciliation team. If you already have a personnel manual, BAI can provide a comprehensive review of the material and make recommendations. If you don’t have one, we can prepare the manual based on your needs and specifications. Documents can be prepared in a wide range of formats, from 8 ½ x 11 straight run, standard wording format without graphics to booklet, columnar format with graphics and customized wording. Once an employee requests a leave of absence, BAI will determine an employee’s eligibility based on the requirements of FMLA. We will notify the employee of his or her rights and responsibilities under the law and provide the necessary leave of absence request forms. Depending on your needs, we can also assist with additional employee communications, management of premium collection during leave, and confirmation of return to work status. We will provide you with a competitive quote to streamline your HR functions!